I am excited for the National Genealogical Society 2014 conference. Registration opens tomorrow and I will sign up not only for the conference, but for the BCG Education Fund Workshop on Tuesday as well. I hope to see many of you there. Registration will open on Sunday, 1 December 2013, for the National Genealogical Society’s thirty-sixth annual family history conference, Virginia: The First Frontier, which will be held 7–10 May 2014 at the Greater Richmond Convention Center and the Marriott Hotel in Richmond, Virginia. Virginia was home to an ever-changing frontier. From Jamestown to Kentucky its people moved ever forward looking for new frontiers and it is this spirit that the conference celebrates as we move to new frontiers in research. The conference will open with Sandra Treadway, Librarian and Archivist of Virginia, who will address the issues that research institutions face as they enter the digital frontier and how they are working to meet the ever-changing needs of their patrons. Continuing its goal of providing quality educational opportunities to its participants, the conference will again feature the Board for Certification of Genealogists’ Skillbuilding track, which focuses on research techniques useful to both the beginning and the advanced researcher. Among the eighteen lectures in the migration track are David Rencher’s “From Ulster to Virginia and the Carolinas,” Eric Grundset’s “The Chesapeake and New England: Colonial Connections and Migrations,” and J. Mark Lowe’s “The Migration Triangle: Virginia, the Carolinas, and Tennessee.” A two-day German track features lectures on German research in both the United States and Europe. Single-day tracks focus on DNA, NARA, military, and African American research and include tracks sponsored by the New York Genealogical and Biographical Society and the New England Historic and Genealogical Society. Technology and its increasing role in research is addressed in a variety of presentations including a full-day track on ways to use technology to help you share your family’s story. And, last but not least, for those who have Virginia ancestors, we promise at least one session every hour of every day. To register online, visit the NGS website at http://conference.ngsgenealogy.org/event-registration/ and complete the registration form. The online searchable program is available at http://conference.ngsgenealogy.org/agenda/ and the PDF brochure is available at http://conference.ngsgenealogy.org/. The brochure includes an overview of the sessions, tours, pre-conference events, registration times, and rates, as well as general conference and hotel details. Attendees are urged to visit the conference blog, which will feature tips on local and regional research facilities as well as things to do in and around Richmond and updated information on hotel availability and local restaurants. I am excited that the program for the 2014 NGS Family History Conference has been released. I have started to look it over, and it looks like it will be a great conference! I already have to choose between four topics I am interested in, in just the first session. I can see that I may need to purchase some of the other lectures on CD. I will include the NGS press release with all the details below, but if you just want to jump right to the program brochure then click here. http://goo.gl/KwHTix. The online version of the program is also available on the conference website at conference.ngsgenealogy.org. Conference registration opens on 1 December 2013 at http://conference.ngsgenealogy.org/event-registration/. A number of special events have limited seating, so register on 1 December or as soon as possible thereafter if you plan to attend these events. The conference will be held at the Greater Richmond Convention Center and Marriott Hotel located in downtown Richmond, Virginia, 7–10 May 2014. Conference highlights include a choice of more than 175 lectures, given by many nationally known speakers and subject matter experts about a broad array of topics including records for Virginia and its neighboring states; migration into and out of the region; military records; state and federal records; ethnic groups including African Americans, German, Irish, and Ulster Scots; methodology; analysis and problem solving; and the use of technology including genetics, mobile devices, and apps useful in genealogical research. The first few pages of the brochure provide details about conference logistics and describe several special events. The daily conference program includes the name of each speaker, the lecture title, and a brief description of the presentation. A number of social events and workshops are also offered during the conference. If 2014 will be your first NGS Family History Conference, check out http://conference.ngsgenealogy.org/tips-for-first-time-conference-attendees/ for additional information about what you might experience at the conference. An exhibit hall with more than seventy-five vendors will be free and open to the public Wednesday through Saturday at the Greater Richmond Convention Center, directly across from the Marriott Hotel. Exhibitors will include genealogy database and software providers, booksellers, genealogy societies, providers of genetic testing, and much more. Up-to-date information about the availability, amenities, and rates for conference hotels can be found at http://conference.ngsgenealogy.org/attend/accommodations/. Sign up for the NGS Conference Blog at http://conferenceblog.ngsgenealogy.org so you do not miss conference news or announcements. Studies have shown that greater knowledge about family history especially strengthens and empowers youth by creating self-esteem, resilience and a greater sense of control over their lives. Learning about the family’s past also strengthens the relationships between living family members by creating a shared experience and core identity that no one else in the world can duplicate. 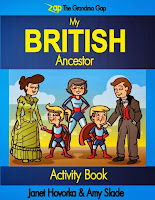 To help families achieve these great benefits authors Janet Hovorka and Amy Slade have developed a new series of “Zap The Grandma Gap--My Ancestor” activity books. 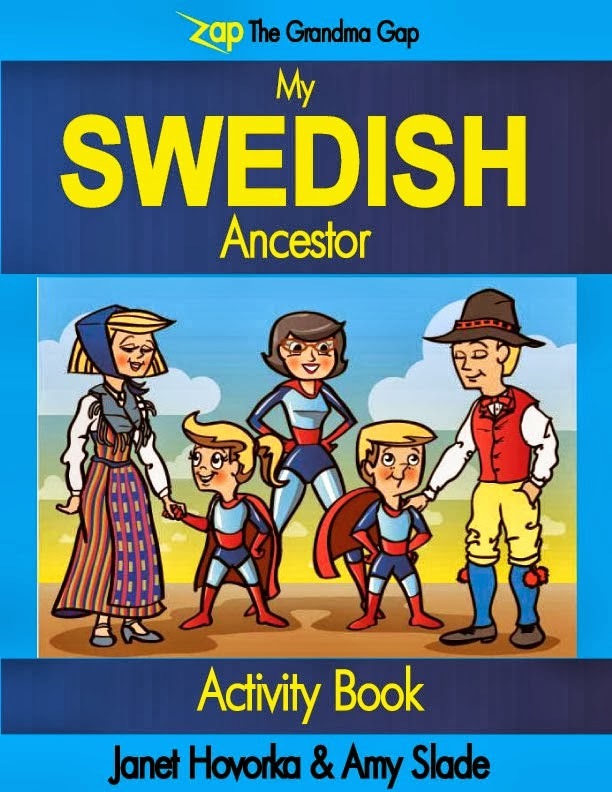 The first four books, My British Ancestor, My Civil War Ancestor, My Swedish Ancestor and My German Ancestor are 52 page activity books designed for 6-14 year olds with puzzles, activities, games and recipes combined with questions and learning opportunities about specific ancestors and the culture that surrounded them. 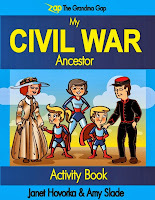 Timelines, paper dolls, coloring pages, maps, fairy tales, music, dot to dots and crossword puzzles combine to give youth the full picture of what their ancestors’ lives were like. When pre-ordered now, the books will arrive in time to prompt questions around the Thanksgiving table. 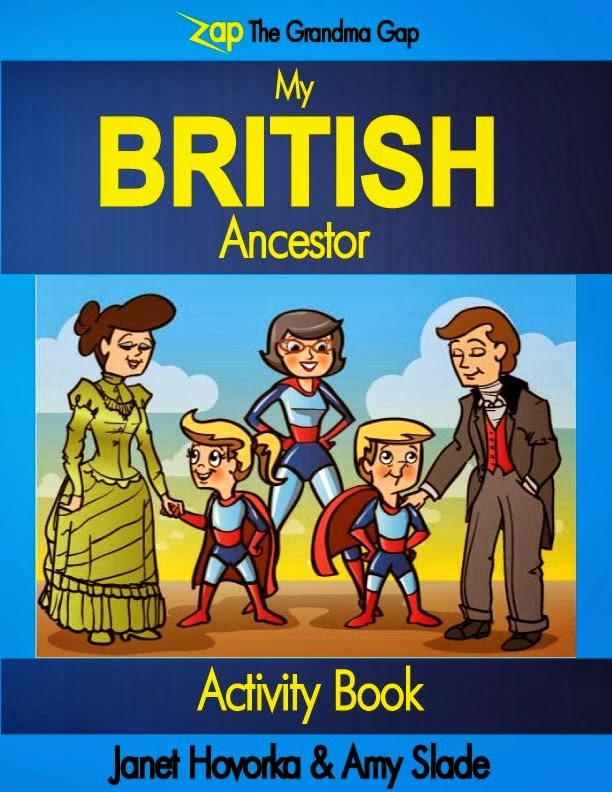 Or they can become the perfect Christmas gift for children and grandchildren that will create stronger bonds in modern families by encouraging the whole family to learn about their ancestors together. 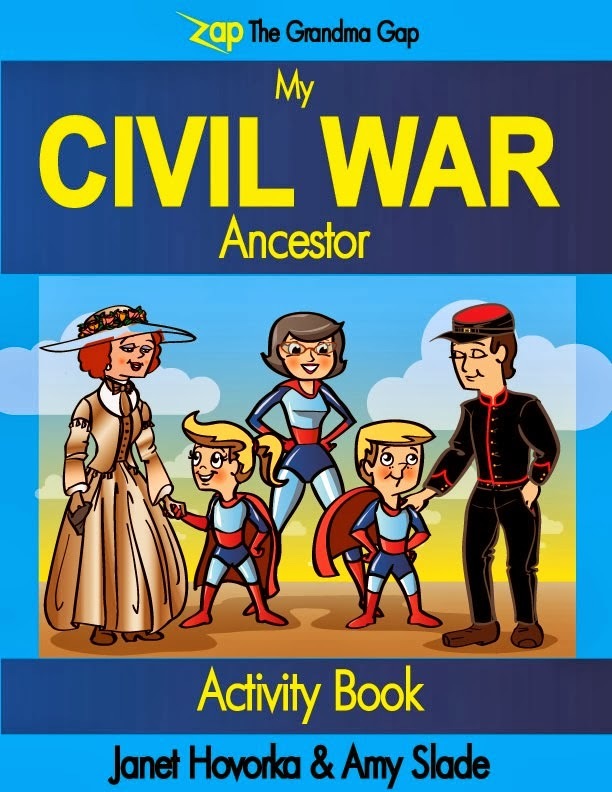 Sample pages from the books can be viewed on the website and blog at ZapTheGrandmaGap.com where they join other online and print resources to help families connect to each other by connecting to their past. Read a German Fairy Tale your ancestors might have known. Make a Schultute School Bag like your ancestors may have received for school. 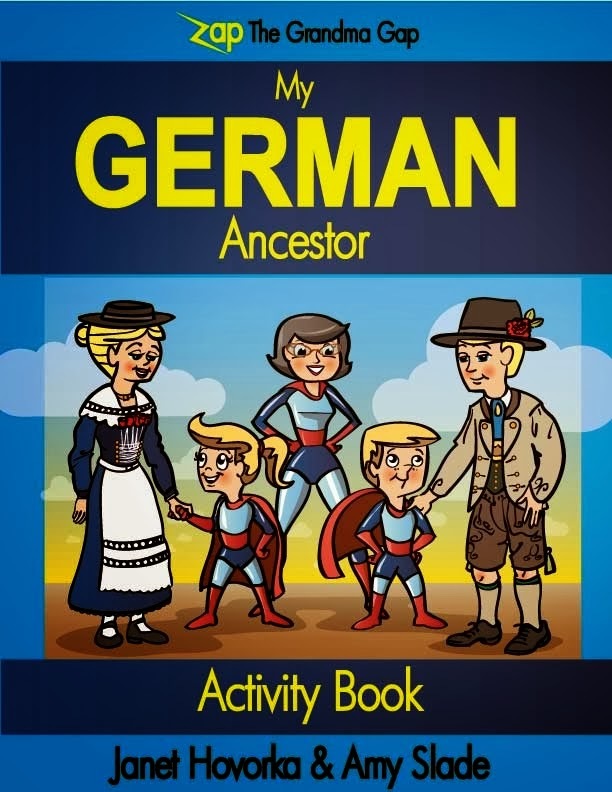 The “My Ancestor” activity books are designed to give kids ownership of their own family history. 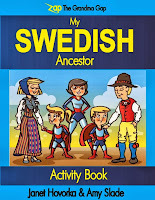 “These books help young kids take the lead in learning about their family history for themselves,” says Hovorka. “As they accomplish the activities together with the help of their parents and grandparents, they strengthen modern family bonds while they are strengthening their identity with the past.” Parents and grandparents who teach children who they are and where they came from give youth a secure identity from which to draw courage as they encounter the challenges in their lives. The authors, sisters Janet Hovorka and Amy Slade grew up in a family history oriented home, but didn’t realize how much they were learning about their family history until later in life. Throughout Janet’s 12 years as a popular genealogy speaker, co-owner of a family history company, genealogy instructor at SLCC, and as past president of the Utah Genealogical Association, she has witnessed over and over again how family history can heal the relationships in a family. 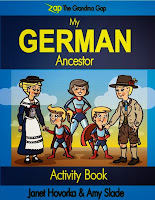 Her books Zap The Grandma Gap: Connect To Your Family By Connecting Them To Their Family History, and Zap The Grandma Gap Power Up Workbook have helped families connect with their roots through the real life examples drawn from Janet’s own experiences with her teenage children. Over the last 8 years, Amy has traveled studying folklore, dance and food and culture around the world and recently received her Masters Degree in Folklore from George Mason University. Together, they are living proof that exploring your family history helps strengthen relationships with living family members. My German Ancestor (ISBN 978-09888-548-5-7), My Swedish Ancestor (ISBN 978-09888-548-4-0) My Civil War Ancestor (ISBN 978-09888548-3-3) and My British Ancestor (ISBN 978-09888-548-2-6), (Family ChartMasters Press, $9.95, 52 pages, 8.5x11, paperback) are available for pre-order at zapthegrandmagap.com.